The Blooming Bloomers Have Bloomed! 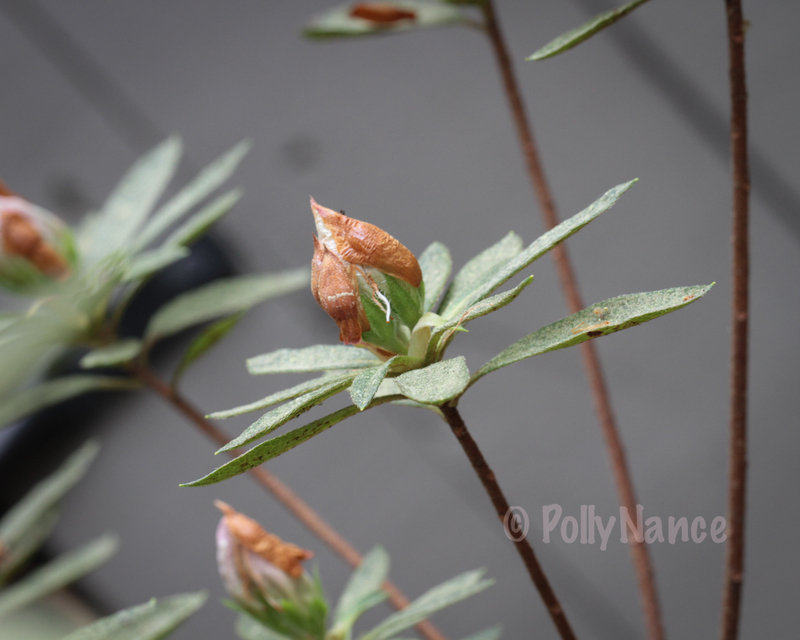 This past week, I took photographs (below) the moment I noticed the appearance of new blooms. 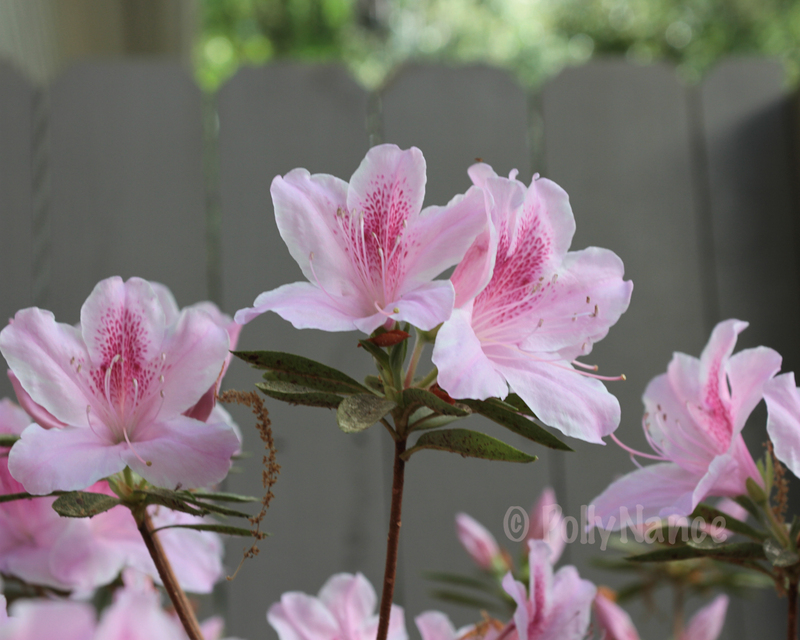 A couple of days after photographing the emerging blooms, the bloomers had bloomed into full, beautiful blossoms. 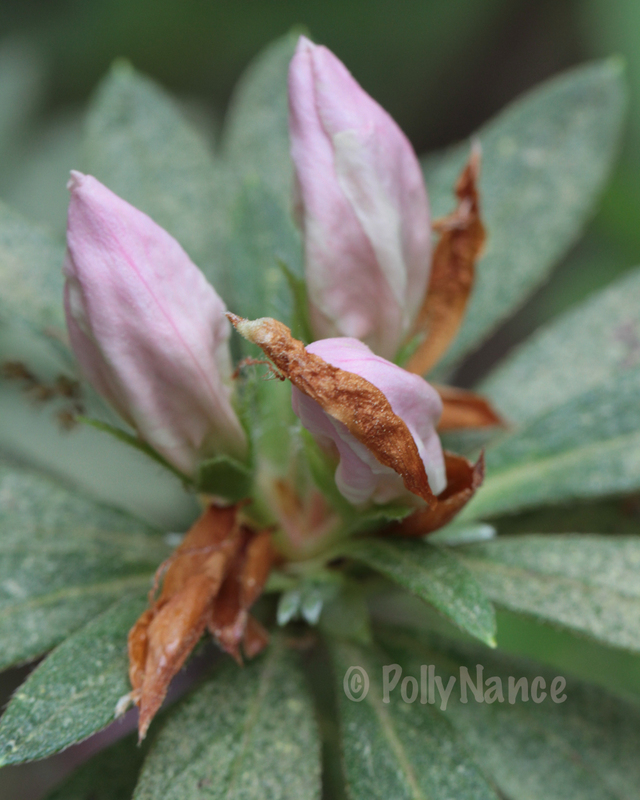 They are fascinating to me because, up close, the patterns on their petals look like pink cheetah print. 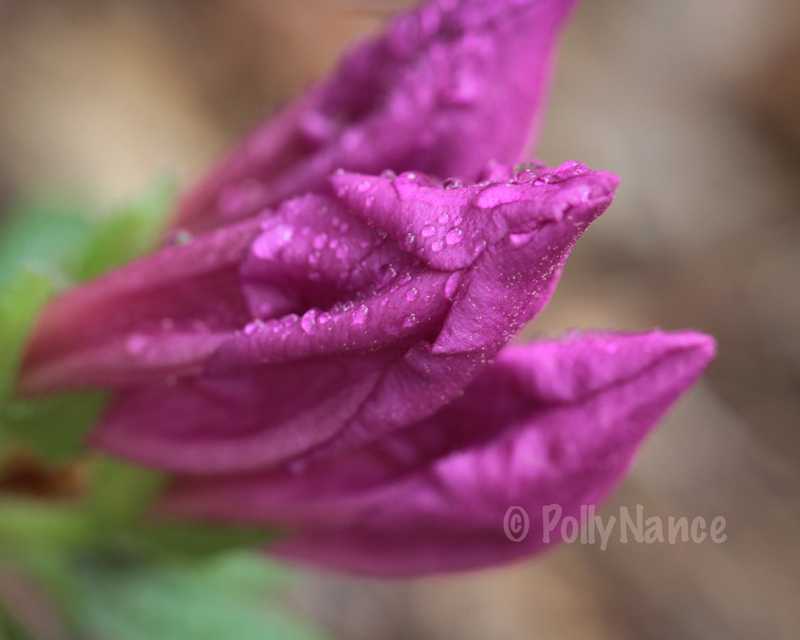 I love observing Spring in detail and documenting the process of blooming! It never gets old in my book… nature is miraculous! 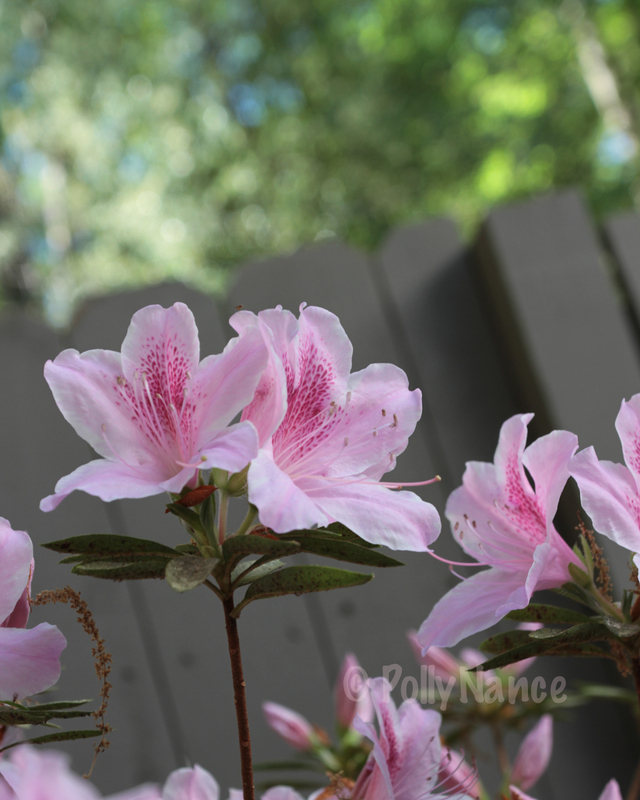 This is one of those bushes my father planted in my yard… I’m no flower expert so if anyone as any idea what type of flowers these are, feel free to comment! 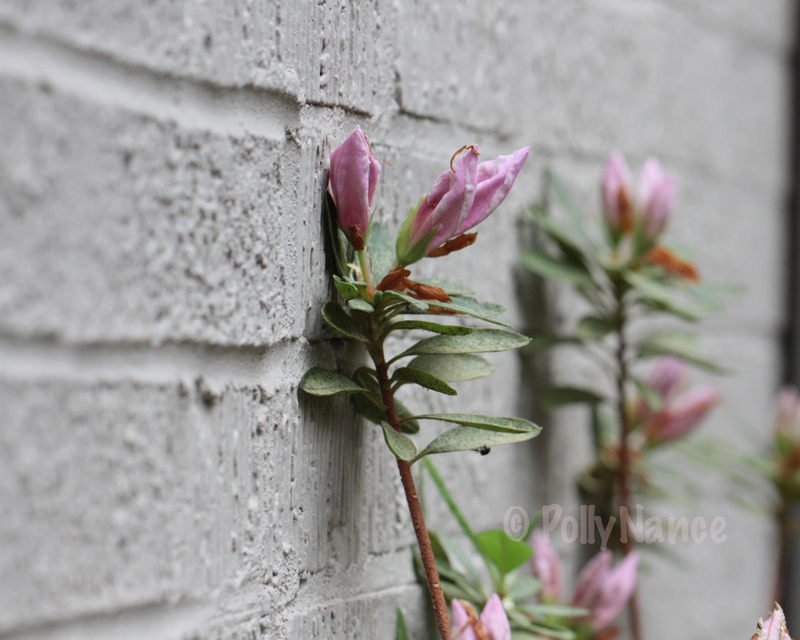 Portrait of a Wall-Bloom. Polly Nance. Digital photograph. 2012. 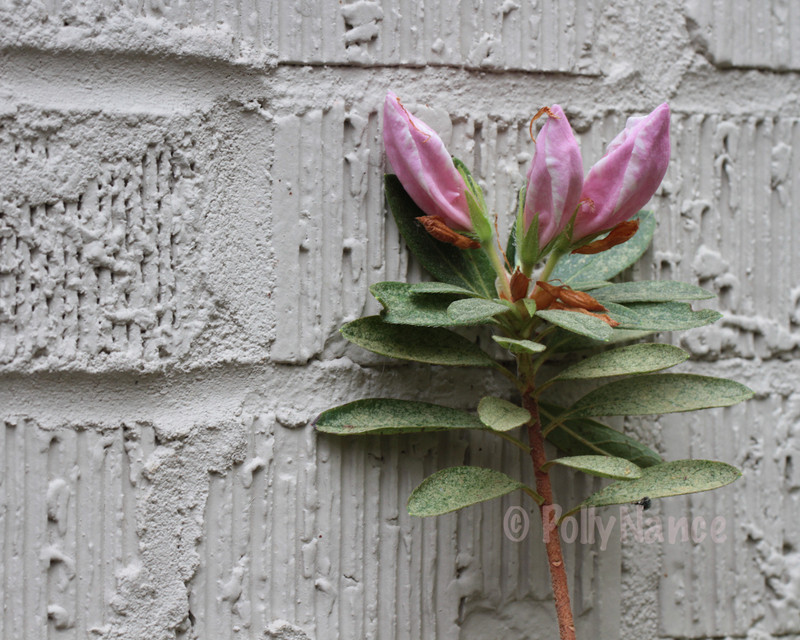 Portrait of a Wallflower. Polly Nance. Digital photograph. 2012. 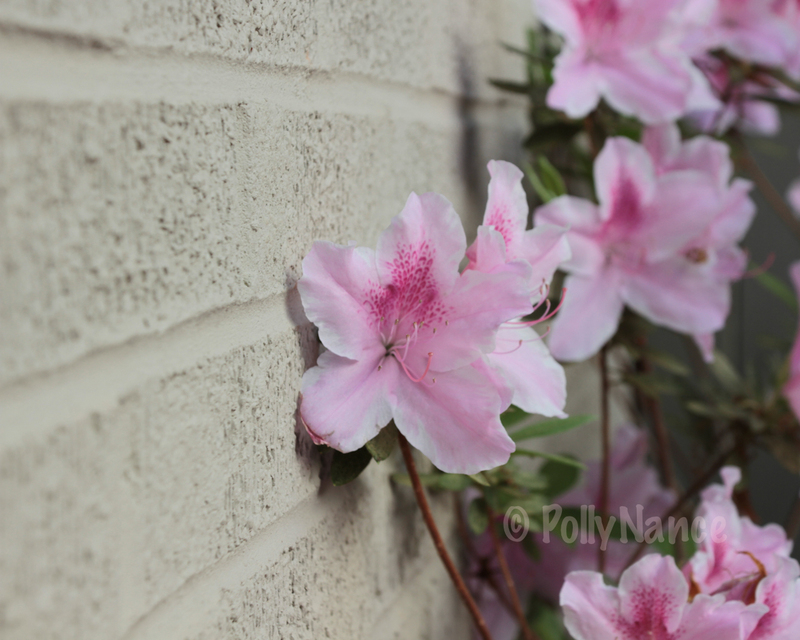 A Singular Bloom in the Sunlight. Polly Nance. Digital photograph. 2012. Blossoms in the Sunlight. Polly Nance. Digital photograph. 2012. 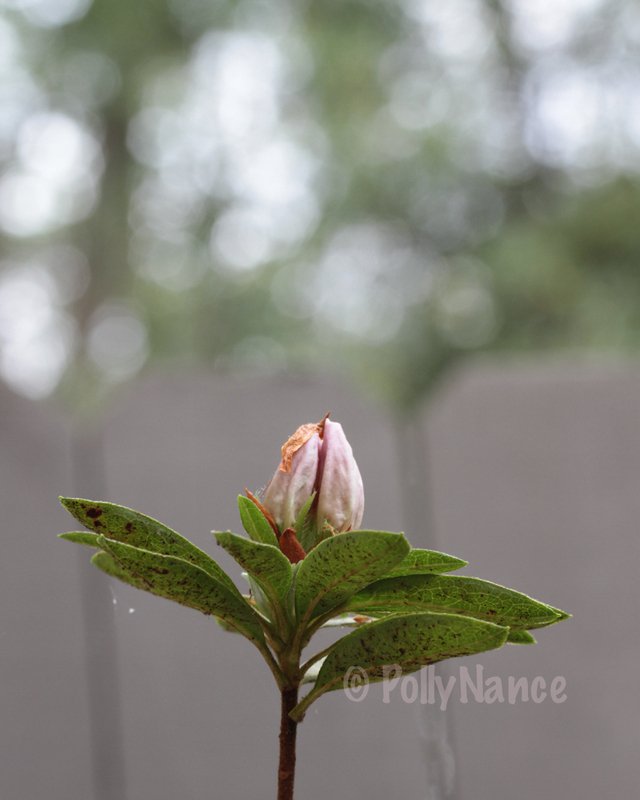 Buds of Blooms. Polly Nance. Digital photograph. 2012. Back-to-Back Blossom Buddies. Polly Nance. Digital photograph. 2012. A Bug on a Bloom. Polly Nance. Digital photograph. 2012. Portrait of a Flower. Polly Nance. Digital photograph. 2012. 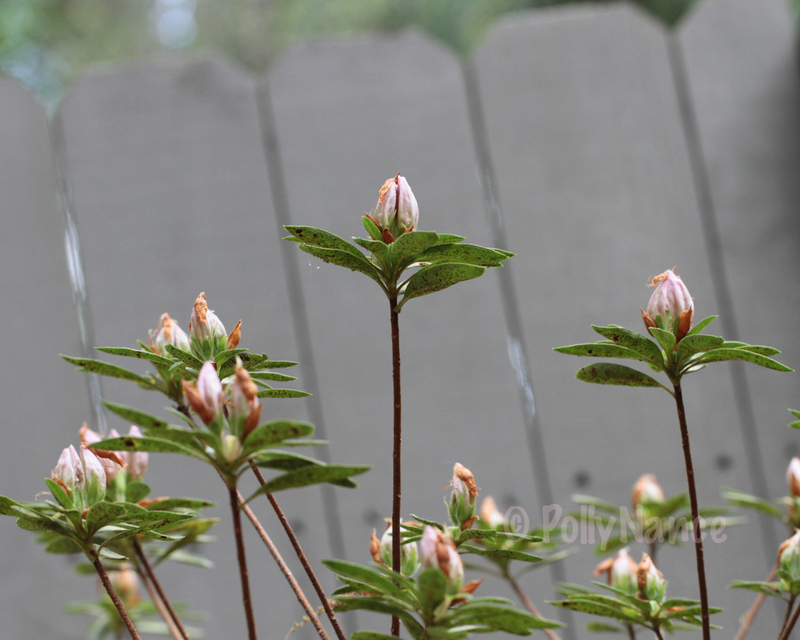 Wet, Darker-Toned Blooms. Polly Nance. Digital photograph. 2012. Pink Cheetah-Print Detail. Polly Nance. Digital photograph. 2012. Reaching for the Sun. Polly Nance. Digital photograph. 2012. Looking into a Blossom. Polly Nance. Digital photograph. 2012. Resting, Peaceful Blooms. Polly Nance. Digital photograph. 2012. Emerging. Polly Nance. Digital photograph. 2012. Blooms, Blossoms and Bokeh. Polly Nance. Digital photograph. 2012. 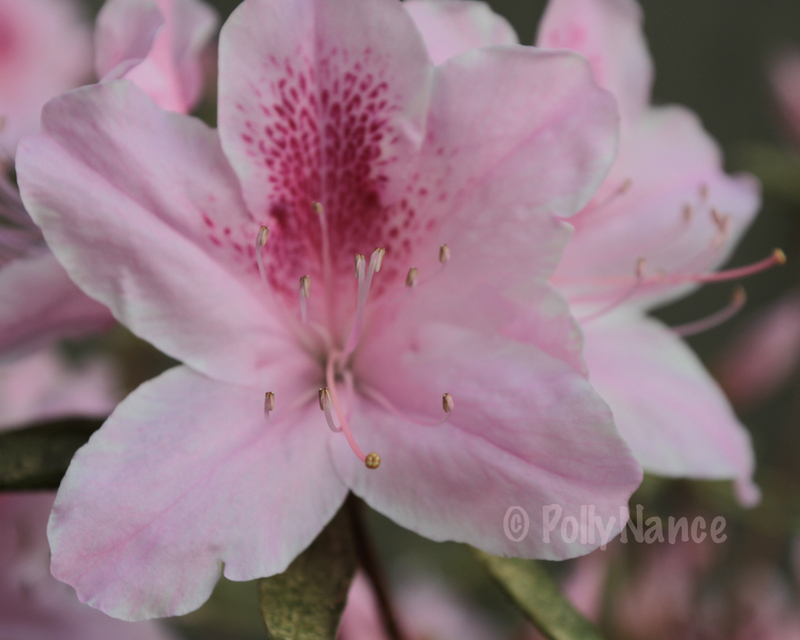 Thank you for taking the time to visit and view my blog! As always, please feel free to leave any and all feedback! PEACE, LOVE until my next bloggy-blog post, dear fellow blog readin’ friends! If You LIKE It, You Should SHARE It! 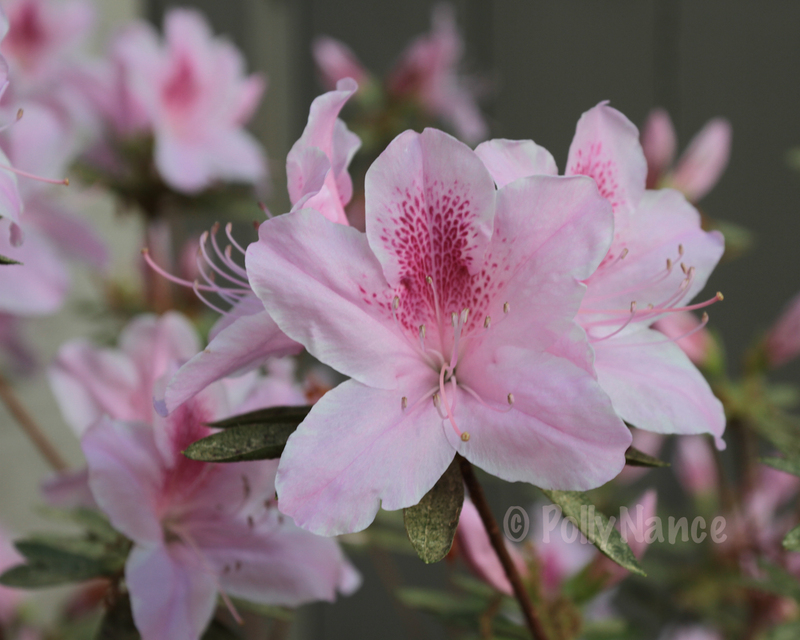 This entry was posted in Bokeh Fun, Grumpa's Flower Gardens and tagged Art, Blooms, Bokeh Photography, Canon 7d, Color Photography, Digital Photography, flowers, Light, LightRoom, nature, Photographs, Photography, Photos, plants, Polly Hoyt Nance, Polly Nance by Polly Hoyt Nance. Bookmark the permalink. The first two images are especially lovely! Thank you! I worked hard for that shot and am so happy to hear you loved that one. I’m partial to detail shots, what can I say? Thank you so much for your feedback! I love these pics! Wonderful capturing of the moods of blooming. 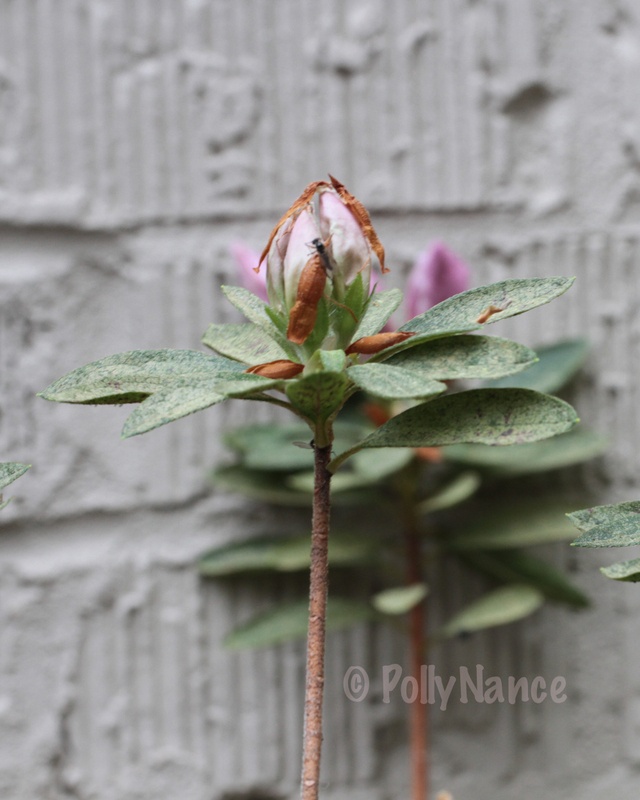 I believe these are quite possibly rhododendrons. 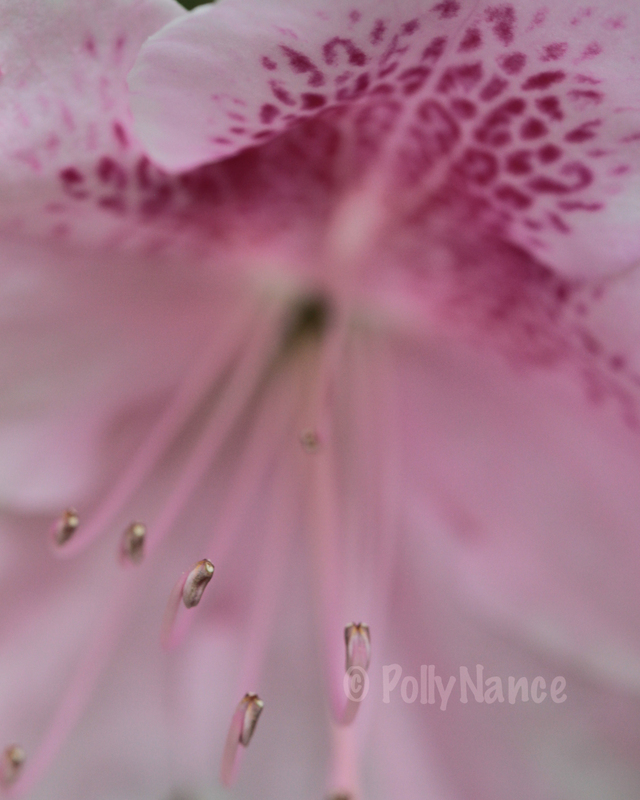 “Pink cheetah-print detail” is stunning Polly with those stamens is sharp focus like drops of liquid silver. I must have had pink deficiency. My eyes just drank these photos in. Stunning photos. Love the colors, the close-ups. Just gorgeous. Lovely photos. Thanks for sharing!! Yummy. Eye candy. Beauty at it’s finest. 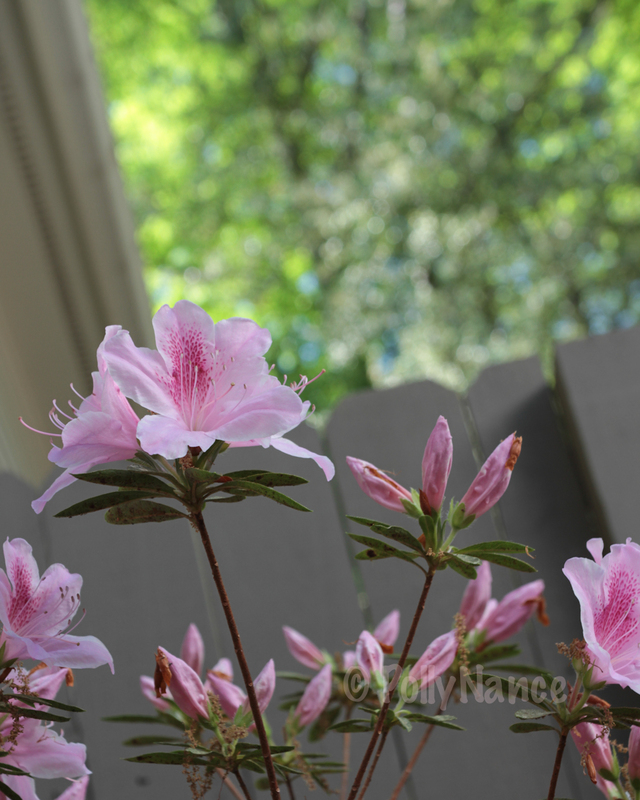 After spending way too much time researching this just now, I’m not 100% sure whether they’re rhododendrons or azaleas (I usually think of rhododendrons as having bigger shinier leaves, but they’re the same genus); according to Wikipedia, if you just call ’em “rhododendrons” you’re probably right. These are all lovely! Like everyone else, I guess, I particularly enjoy the sharp focus of the nectar or dew on the ends of the… uh… stamens?, in “Pink Cheetah-Print Detail.” It’s a beautifully uncluttered composition.